Highway 129 currently closed between Chapleau and Thessalon due to poor weather conditions. 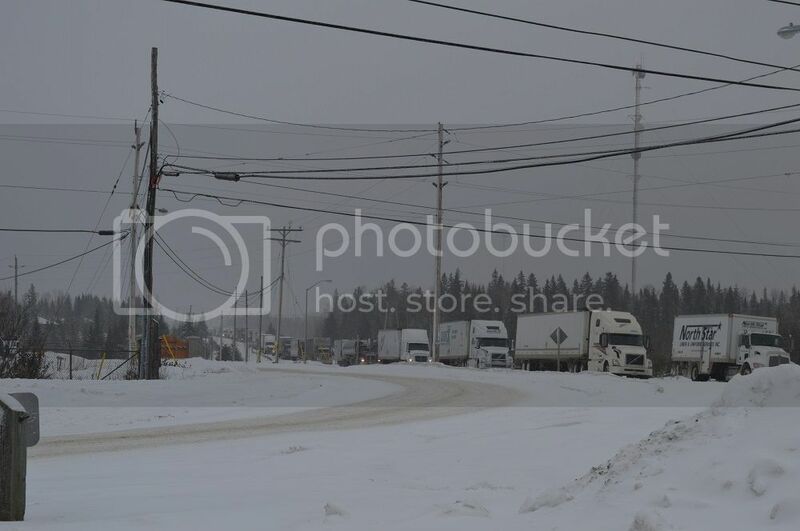 Loco101 wrote: Highway 129 currently closed between Chapleau and Thessalon due to poor weather conditions. Visit the Ontario Ministry of Transportation website at http://www.mto.gov.on.ca or call 511 for Traveller's Information such as Winter Road Conditions, Construction Reports, Road Closures, Traffic Reports, Traffic Cameras and Interactive Mapping. hehe, sorry. I could have posted a link. Hwy 11 closed between Longlac and Hearst due to poor weather conditions. Wonder if they get to keep the meat. Highway 400 from Parry Sound to Exit 189 (Lake Joseph Road) is closed due to weather conditions. Highway 11 from Burks Falls to Huntsville is closed due to severe weather conditions and poor visibility. OPP say they are closing the SB lanes of Hwy. 400 from Hwy 88. to Hwy 9 due to numerous motor vehicle collisions. Huntsville: Hwy11 in both directions from JCT Hwy124 at South River to Hwy60 is now opened. 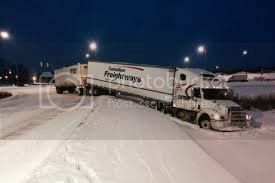 OPP report Hwy 652 and North West Industrial Rd, Cochrane, closed: T/T jackknifed, Hwy is glare ice, 3-4 vehicles in ditch. 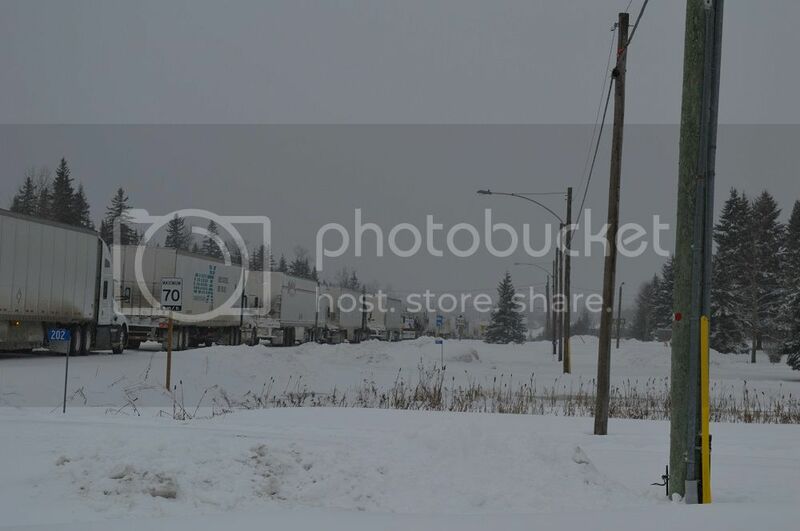 OPP report Hwy 144 at Windy Lake Rd, north of Sudbury, is closed due to a tractor trailer in the ditch. Highway 11 closed both directions between Smooth Rock Falls and Kapuskasing. Traffic backed up into town. Highway 11 from Kapuskasing is closed from the Flying J in Kapuskasing to Cochrane because of the weather and multiple collisions along the highway. The OPP is trying to get the highway cleared as soon as possible. They expect two to three hours. Freezing rain? Blowing snow? Heavy snow? Also, all traffic heading east should be careful for the truck drivers that will pass ANYWHERE at ANYTIME regardless of oncoming traffic. DenBen wrote: What is the issue? How about everything except the kitchen sink. Riskynet wrote: Traffic backed up into town. Too bad there wasn't a train moving all this freight. Lots of them around here. Reminds me of being back in Moncton.